Save 15 percent off all sizes of Carlisle Super II Belts during the PaulB Wholesale Early Order Parts Program. The Carlisle Belt brand is now owned by Timken. Almost all Carlisle belts are made in the heart of the USA: in Springfield, MO, and in Ft. Scott, Kansas. Carlisle Belts are made from new EPDM construction. 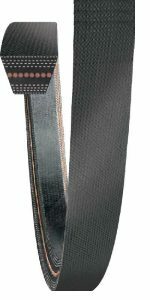 PaulB Wholesale customers save 15 percent off all sizes of Carlisle Super II Belts during Early Order Parts. The Timken Company has long been dedicated to improving the reliability and efficiency of machinery. Its Carlisle Super II V-belts help maintain stability, prevent roll-over, and dissipate heat to provide more efficient power transmission. Check out their heavy-duty belt construction. The Raw-Edge drive belts are ideal for use with shaker screens, debarkers, industrial washers, industrial dryers, and more, to improve performance on some of the most brutal drives. The Carlisle Aramax Belt is designed for outdoor power equipment and has a super-clutching fabric cover, for more horsepower, less stretch, and a longer life. The Aramax Belt also is oil, dirt, and heat resistant. Heat is one of the most common issues in belt failure, and misalignment can occur in cool and damp conditions. The new EPDM construction means these drive belts conduct static, resist hardening and glazing, and can withstand temperatures from -50 degrees F to over 250 degrees F.
To take advantage of the 15 percent savings on Carlisle Super II V-belts, order before Nov. 17. Learn more about our Early Order Parts program.